Don't miss out on all the incredible crashes involving the world's most expensive exotic cars, updated with 20 new photos every week! 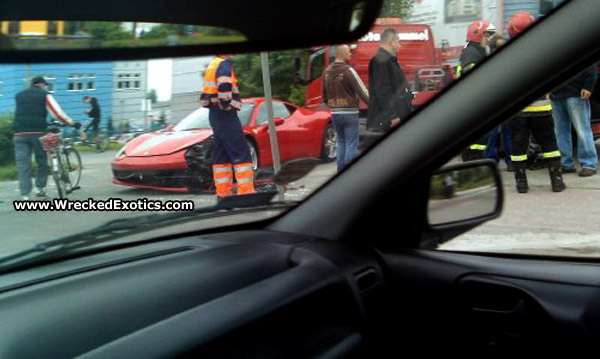 We have just received reports of a crash involving a Ferrari 458 Italia in Wroclaw, Poland. At this time, other than these 3 photos, we do not have any details on the accident or the specific time it occurred. We will update this page as we get more information. Once we find out the details, we will be awarding a $500 prize to the person who came closest to guessing the correct date. If you have additional picture or details of this accident, please Email Us. After verifying with multiple sources, we have determined the exact date and time of the accident: May 20, 2010 - 1:45 PM local time. 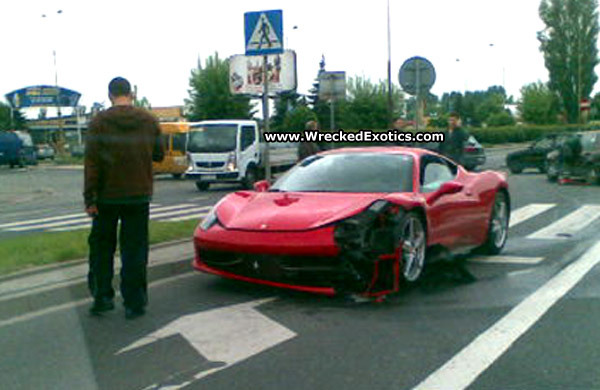 The accident occurred when the Ferrari 458 Italia crashed into the left rear door of a dark red Volkswagon Bora. According to an eyewitness, the Ferrari was driving between 60-70 mph on "Armii Krajowej" street which has a posted speed limit of 30 mph. When the Ferrari approached the intersection, a small bus abruptly made a left turn in front of it. In an effort to avoid crashing into the bus, the driver of the Ferrari veered slightly to his left and crashed into the Volkswagon Bora. 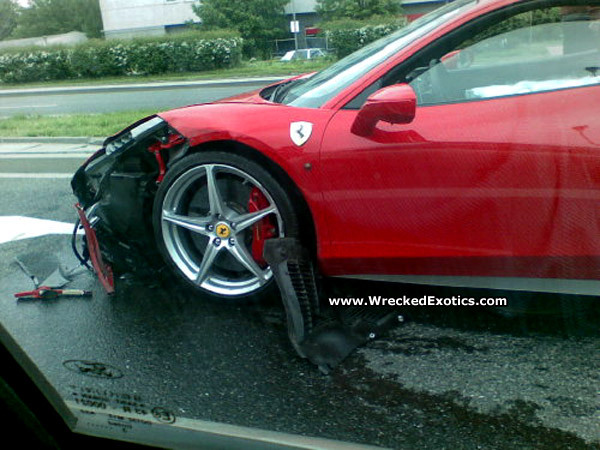 Police apparently said the Ferrari driver was at fault due to the high speed. The Ferrari had Austrian license plates and was practically brand new having been purchased in March 2010. The driver appeared to be in his early 20s. 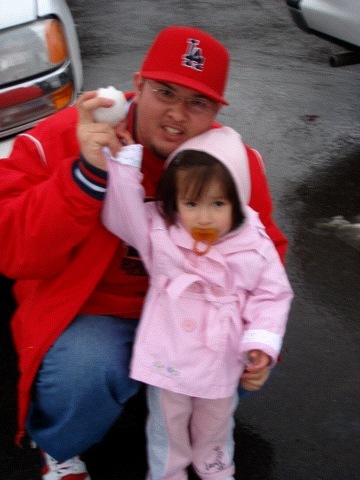 We'd like to congratulate Mario Magallanes, the winner of our $500 "Guess the Wreck" contest. 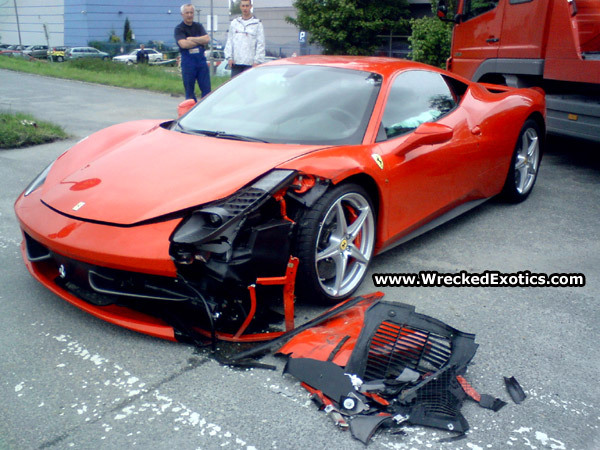 Mario came closest to guessing the correct date and time of the first crash of a Ferrari 458 Italia. His guess: May 20, 2010: 11:42 AM. The official time of the crash was about 2 hours later at 1:45 PM on May 20. Mario lives in Los Angeles and guessed that specific time because that's the day and time of his birth!